Prolozone® is derived from the Latin word “proli” which means to regenerate or rebuild, and the word ozone. Ozone is the most highly active form of oxygen in the universe. Prolozone uses the power of oxygen to cause damaged tissues, joints, ligaments, and tendons to regenerate. This usually causes a complete healing, and a permanent end to pain. Ozone, (O3), is an energized form of oxygen which contains three atoms of oxygen rather than the two atoms we normally breathe. Ozone is the second most powerful sterilizer in the world and can be used to destroy bacteria, viruses and odors. Ozone occurs in nature, most often as a result of lightning strikes that occur during thunderstorms. However, we are probably most familiar with ozone from reading about the “ozone layer” that circles the planet above the earth’s atmosphere. This layer of ozone serves to protect us from the ultraviolet radiation. The third oxygen atom of ozone makes it extremely reactive. This atom easily attaches itself to other molecules. When bacteria or viruses make contact with ozone, it creates a miniscule hole in the cell wall. Once the cell wall is destroyed, the bacteria will be unable to survive. This process is called oxidation. Ozone essentially reverts back to oxygen after it is used. This makes it a very environmentally friendly oxidant and very safe to use.The medical uses of Ozone have a safer track record than the use of Ibuprofen. Prolozone is a homeopathic/oxygen injection technique developed and pioneered by Dr. Shallenberger. It is excellent for all forms of musculo-skeletal and joint pain including chronic neck and back pain, rotator cuff injuries, degenerative and arthritic hips and knees, degenerated discs, and shoulder and elbow pain. 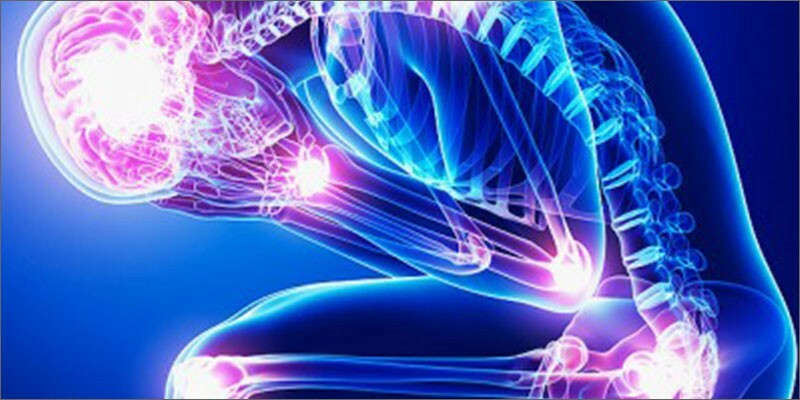 The good thing about Prolozone is that because it actually corrects the pathology of the disorder, there is a 75% chance for the chronic pain sufferer to becoming permanently pain free. Prolozone Therapy is an injection technique similar to prolotherapy that uses ozone. The use of ozone causes the joint to heal much more quickly than in traditional prolotherapy. This is because ozone is a highly reactive molecule and when injected into a joint capsule it is able to stimulate the fibroblastic (or regenerative) joint repairing abilities. The reason that some injuries completely heal and others don’t has to do with circulation. In order for a damaged area of the body to regenerate and heal, it must have the critical elements that only the blood can provide: vitamins, minerals, and oxygen. Of these, by far the most important is oxygen. Low levels of oxygen cause an accumulation of lactic acid, which is what causes pain. Prolozone works in three ways. First, homeopathic anti-inflammatory medications are injected into the injured area to reduce inflammation and swelling. This leads to increased circulation. Next, the area is treated with vitamins and minerals that are critical for healing. And finally, the area is infiltrated with oxygen in the form of ozone. The result is that the tissues get what they need to heal. And as they heal, the circulation to the area is re-established, and the treatment is complete. The response to treatment varies from person to person, but most people only need from 3-5 treatments. Prolozone works on just about any pain problem you might have, including: neck pain, whiplash, degenerated or herniated discs, low back pain, plantar fascitis, carpal tunnel syndrome, torn tendons, TMJ syndrome, sciatica, heel spurs, neuromas, tennis elbow, rotator cuff tears, knee injuries, and virtually any other sports injury. Because Prolozone treatments also result in cartilage regeneration, the technique is also remarkably effective even for severe cases of osteo arthritis of the hip or knee. The good thing about Prolozone is that it is not just a treatment for pain. The results actually represent a permanent fix. If you are health conscious and require the very best in holistic care, contact us today.